Australian property developers and landlords are increasingly turning to equipment rental facilities in a bid to reduce large up-front fitout contributions for new tenants and to limit bank debt. The rented equipment can significantly reduce the cost of tenant incentives or help to create turnkey tenancies at a fraction of the cost. Rented equipment can also be installed in new or old tenancies to give sites a point of difference in attracting the most desirable tenants or to help create a strong, diverse tenant mix. Capri on Via Roma development which opened in December 2013 on the Gold Coast. Capri on Via Roma has become a “foodie hub” with over 40 retail tenancies including the high profile Edgewater Dining & Lounge Bar which sits on the waters edge overlooking the Surfers Paradise skyline“Since the Global Financial Crisis, landlords have seen a competitive requirement to increase the level of tenant incentives offered to secure good tenants to their projects. For a new multi tenanted project such as a shopping centre development, this can mean extremely significant up-front costs” Mr Harvey said. This is made even more difficult for a developer with bank lending conditions tougher. “A developer these days is often confronted with more stringent pre-leasing requirements (often as high as 70 per cent – 80 per cent pre-commitment), lower “loan to value” ratios (LVRs) and overly cautious valuers," Mr Harvey said. By renting the equipment through the Rent-Try-Buy product offered by Silver Chef, Simon was able to release some of the funding pressures by significantly reducing the costs of fitout incentives with the added bonus of all rental payments being 100 per cent tax deductible. “It is easy to get stuck doing things the way you have always done them. By thinking a little bit out of the box and working with our tenants and equipment suppliers we were able to come up with a solution that produced a meaningful, positive impact on our cashflow,” Mr Harvey said. Silver Chef is Australia’s only dedicated hospitality equipment funding business and provides businesses with an easy, low risk solution to help secure their catering equipment. The Rent-Try-Buy Solution offers users a short 12-month contract, low weekly rental costs and the option to upgrade or buy outright (with a generous rebate). Developer’s can utilise the flexibility of the Rent-Try-Buy product to mix and match equipment to the needs of prospective tenants. Once the tenant is secured the developer can transfer the rental contracts over to the tenant and reduce their lease payments or maintain ownership for the life of the contract. Gold Coast restaurateurs Peter and Tracey Cianci opened two restaurants - Edgewater Dining & Lounge Bar and The Fish Emporium - at Capri on Via Roma in March this year. Kitchens for both venues utilised equipment purchased by the developer using Silver Chef. Peter said the flexibility of Silver Chef was its key benefit. “Tastes and styles are always changing, our menu is always changing so we need to be able to adapt our kitchen to that change relatively quickly,” he said. 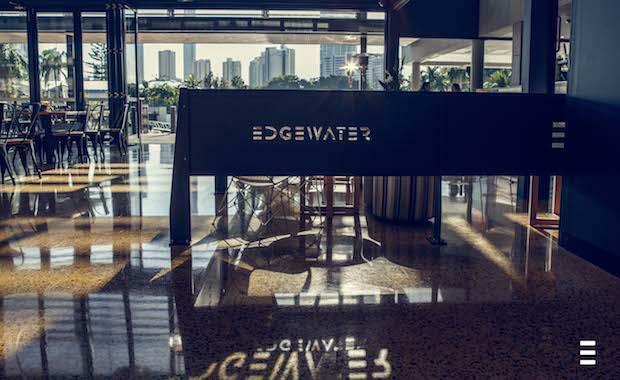 Equipment for the fitout of Edgwater and The Fish Emporium was purchased through Commercial Kitchen Company’s Paul Terzis, one of Silver’s Chef’s top accredited dealers and a key ingredient in bringing together the developer, tenant and Silver Chef. Paul’s many years of experience dealing with hospitality industry start-ups has given him a strong appreciation of the benefits of Silver Chef. ASX-listed Silver Chef was established in 1986 to help businesses fund their critical equipment needs and preserve cash while providing flexibility. The company has nation-wide operations and provides equipment rental to the hospitality industry under the Silver Chef brand and to the broader market under the GoGetta brand.